Donating to WFRI is a great way to fuel gender equality movements in Rhode Island. There are so many reasons to support your state’s women’s fund. Here in Rhode Island, our women’s fund plays a critical role in addressing gender equality with grantmaking, legislative advocacy, and in-depth research. All of this work helps to guide social change strategy and increases public awareness about gender equality in the state. This is money well-spent. Every time we discuss the issues related to gender equality in a legislative setting, we may not win immediately, but we teach our legislators important lessons about the issues that need to be addressed. Sometimes it takes several lessons before change can occur, but every lesson increases the likelihood of that change. We have a $10,000 challenge match to meet. 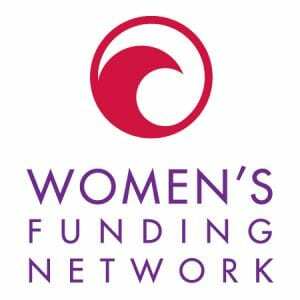 A founding board member has offered a $10,000 challenge grant for us to relaunch our Women’s Policy Institute, which trains women to advocate for issues that affect women and girls in Rhode Island. She’ll match $.50 on the dollar when we raise $20,000 to relaunch this powerful program. 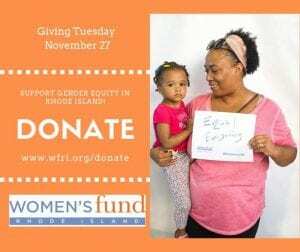 Donate today towards WPI and have a direct impact on gender equity in Rhode Island. Now is the time to donate to WFRI!